Coming home to clean, comfortable accommodation after a day’s diving is one of the things which will make your training experience more enjoyable. 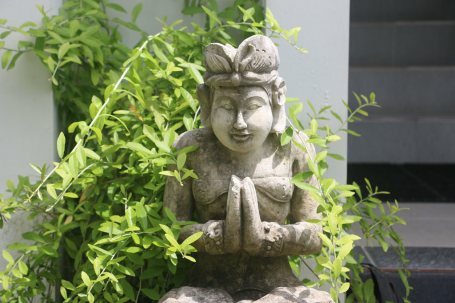 Blue Season Bali includes local Balinese accommodation with all internship programs. You’ll be living with other internship participants, so your social network is literally at your doorstep! 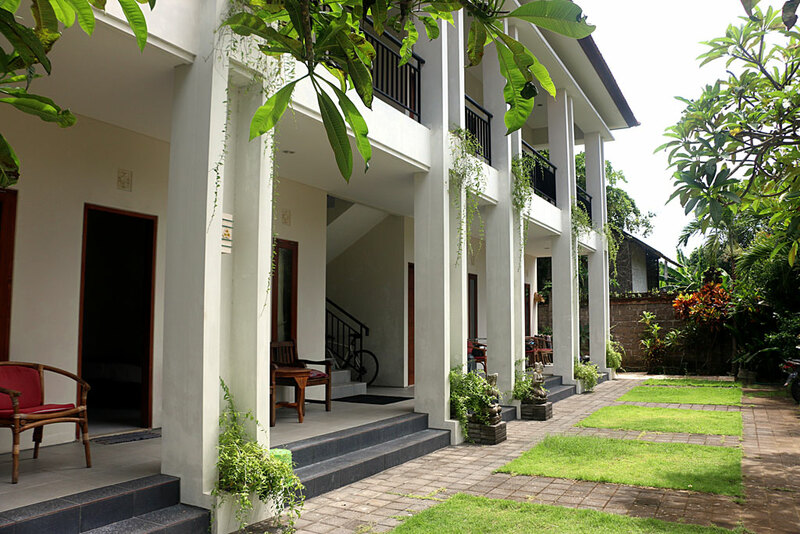 The type of accommodation included is local Balinese “losmen” type housing. 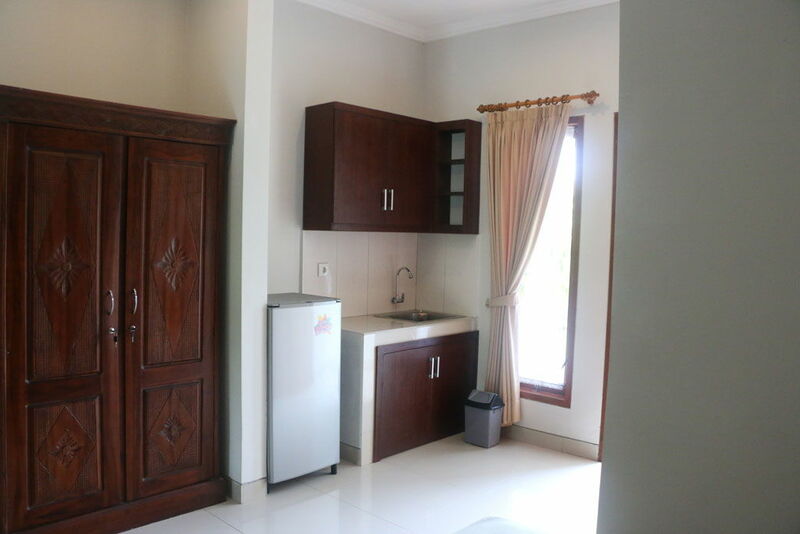 A “losmen” is basically a bungalow/studio apartment with en suite bathroom and western style toilet. The images on this page show some of the accommodation we use, though each room may differ slightly. 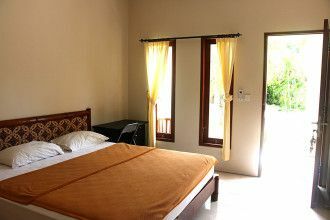 The standard accommodation provided with our internships and IDC programs are clean, comfortable twin-share rooms with AC and room temperature water. All feature an en suite western-style toilet and private entrances which open to a semi-private shared courtyard off the main road. Your room mate will be of the same gender as you. 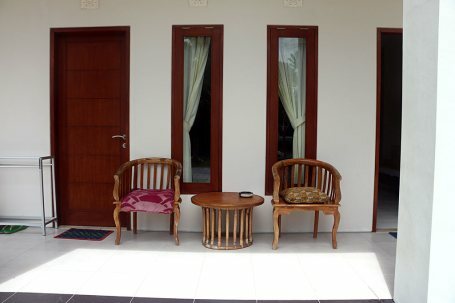 The accommodations are family-operated and lend themselves to a great sense of community among the interns. 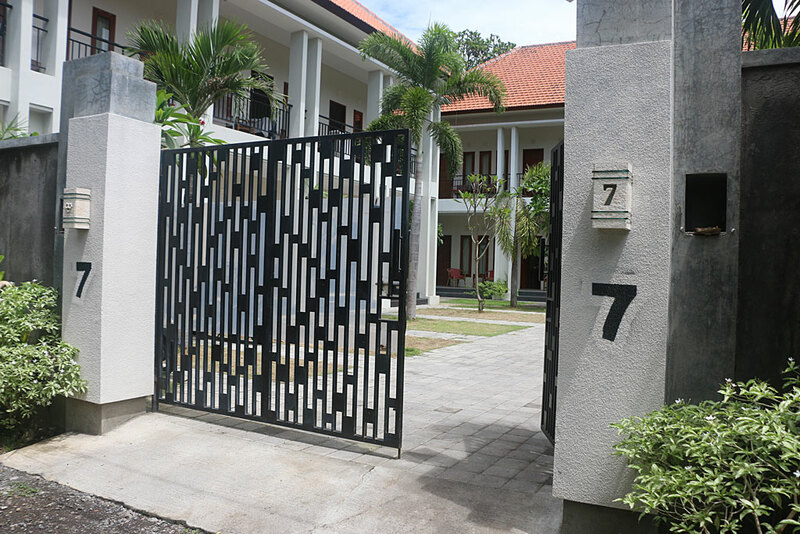 We can offer single room upgrades with AC, hot water, and WiFi for IDR 2.500.000 per month extra. If you would like to upgrade to luxury accommodation and money is not an issue, there are many options available from 5 star luxury hotels with beach view, to gorgeous villas with private swimming pools. The options are endless in Bali.